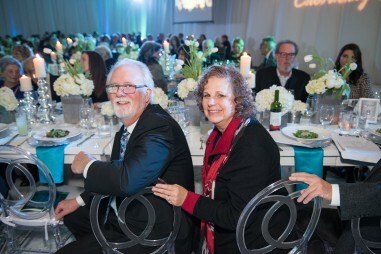 We celebrated our community, our campus, and those who strengthen it! 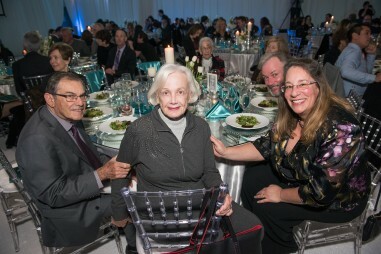 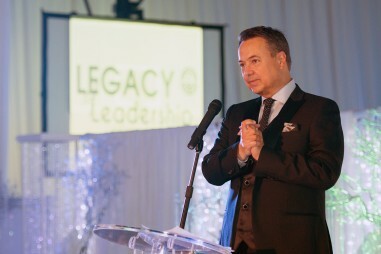 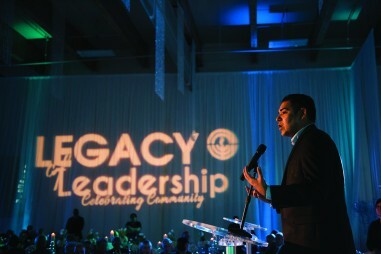 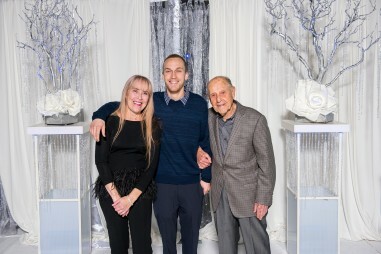 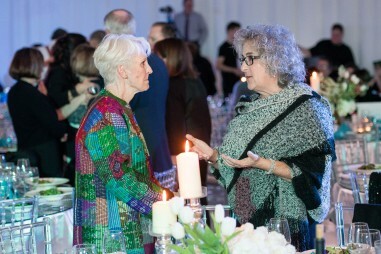 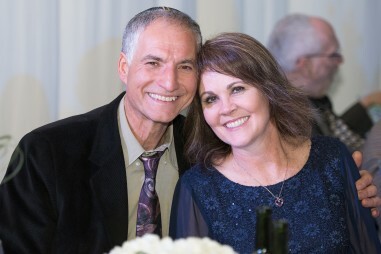 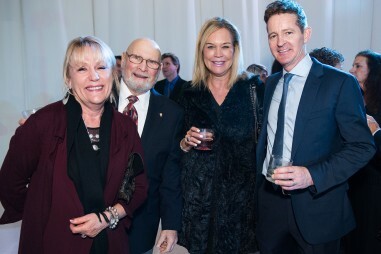 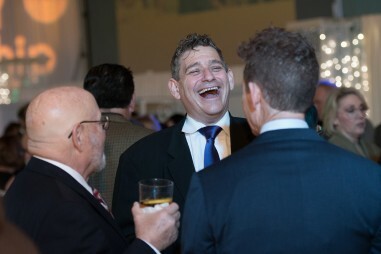 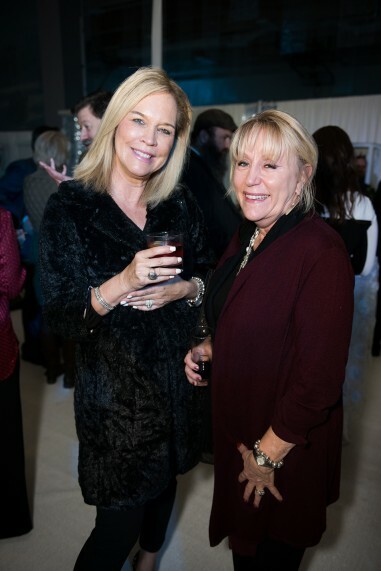 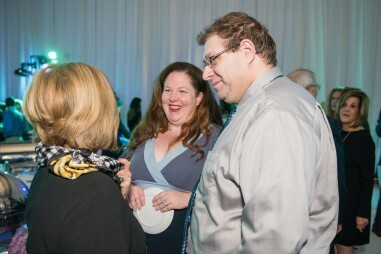 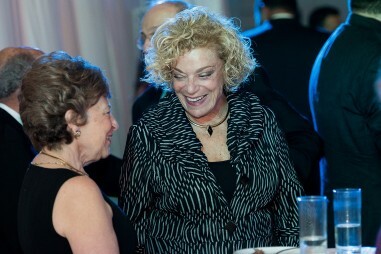 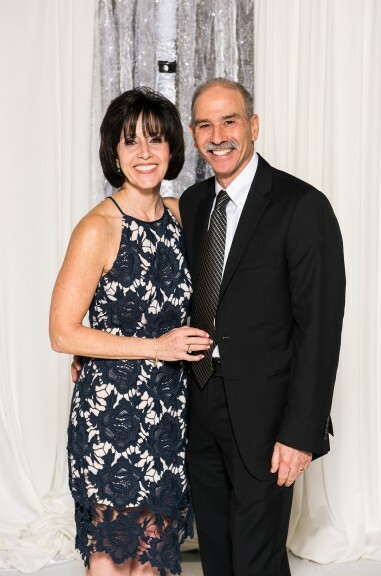 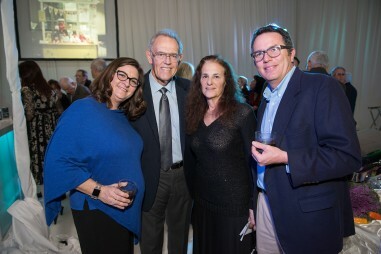 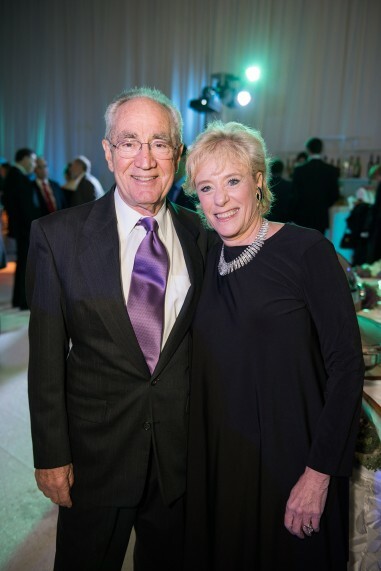 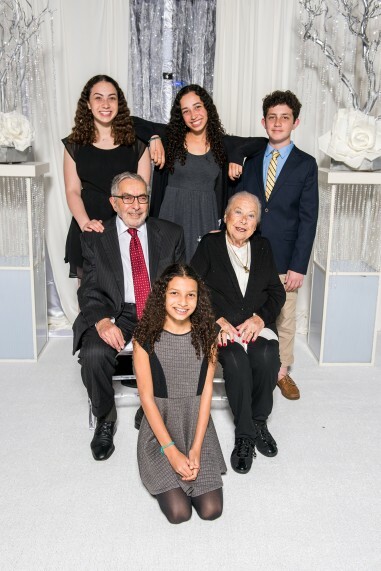 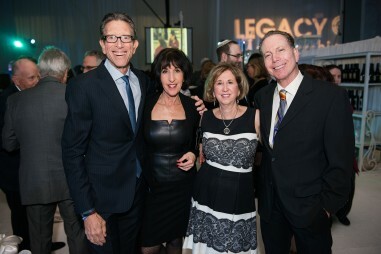 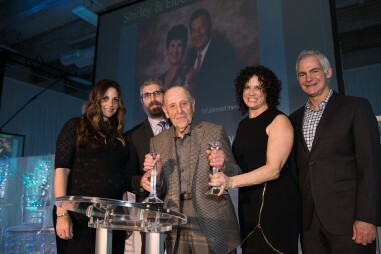 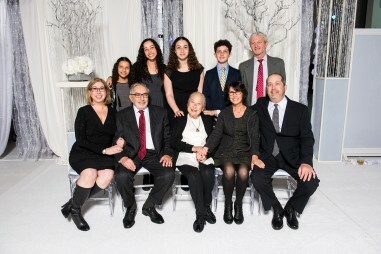 Nearly four hundred community members braved the torrential down pour and gathered for the Legacy of Leadership 2017 Dinner sponsored by The Jewish Community Partnership Sunday, January 22 at Alpert Jewish Community Center on the Weinberg Jewish Federation Campus. 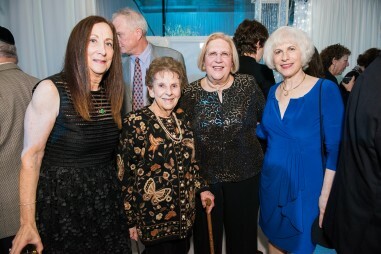 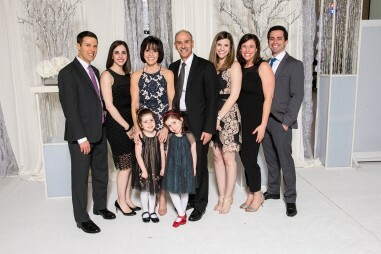 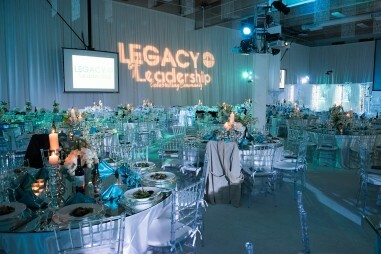 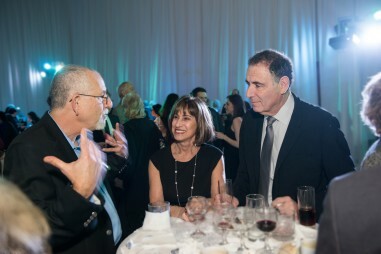 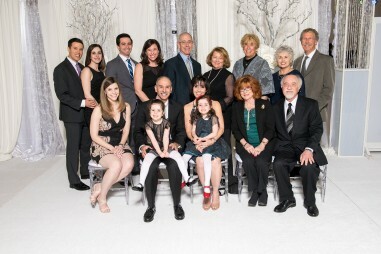 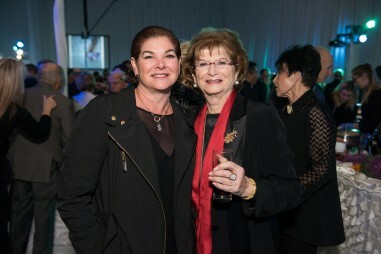 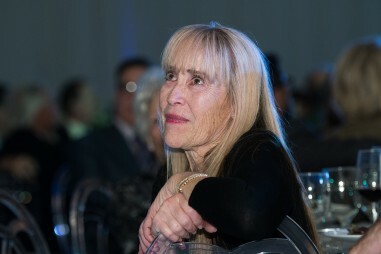 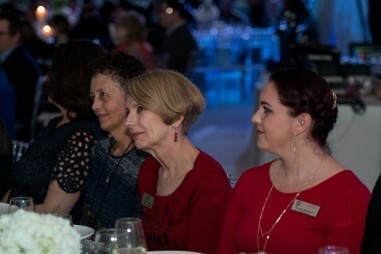 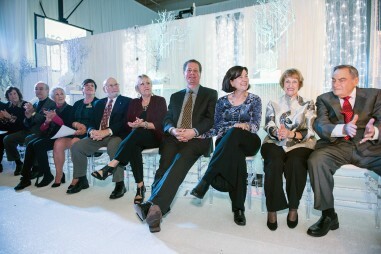 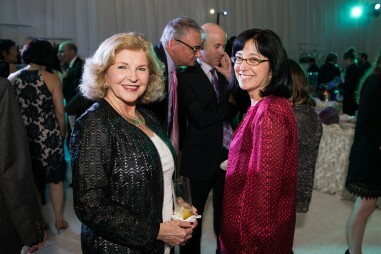 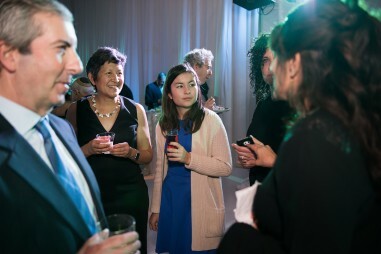 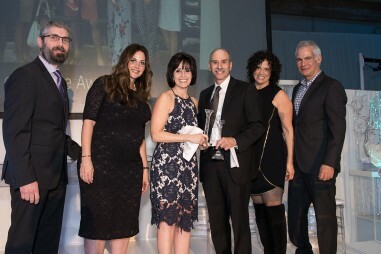 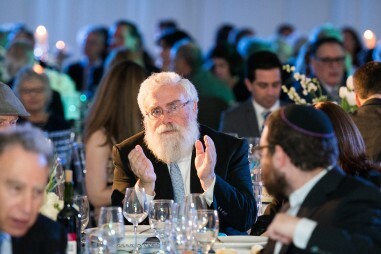 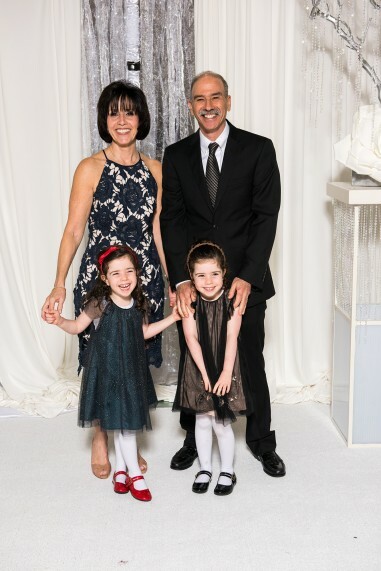 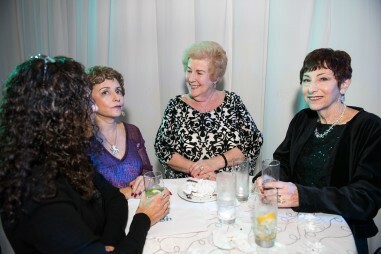 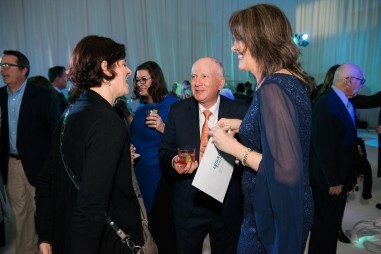 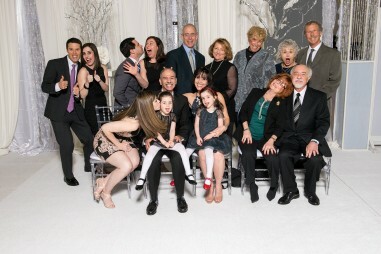 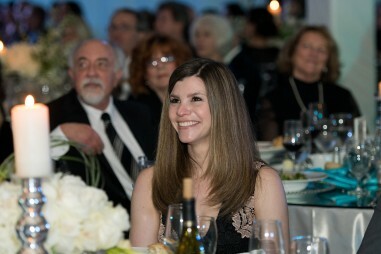 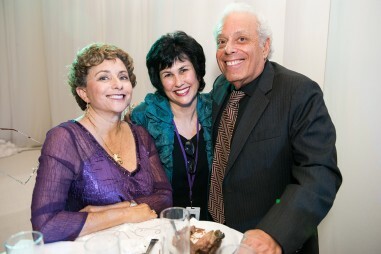 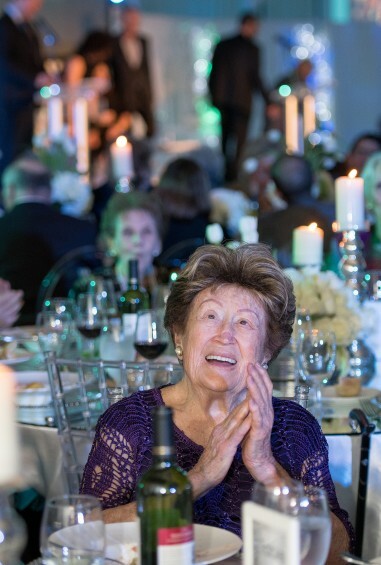 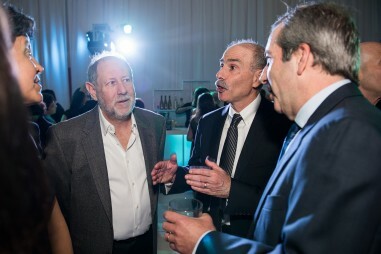 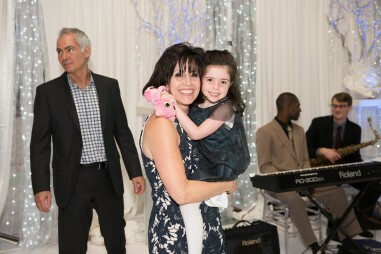 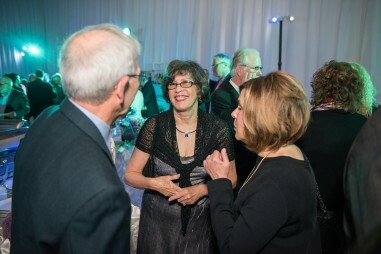 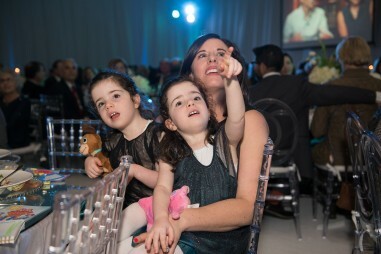 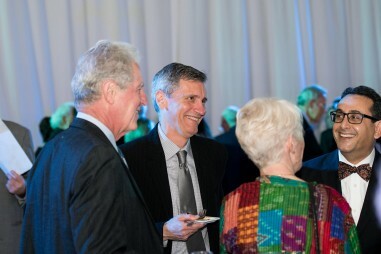 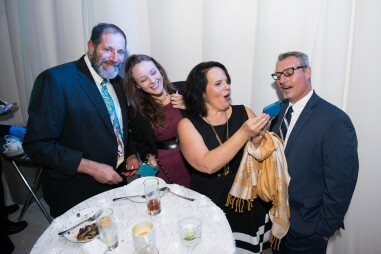 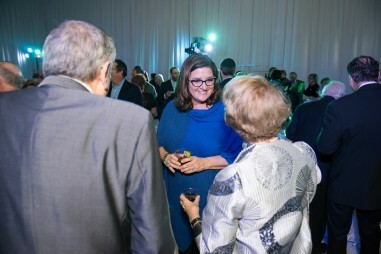 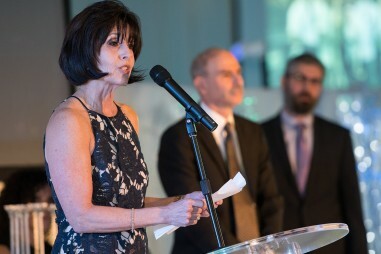 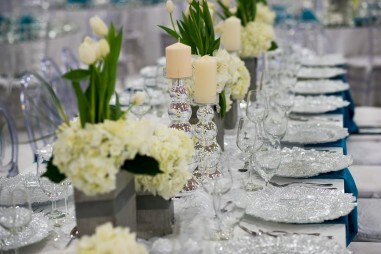 This premier event is held every two years and raises funds to support the agencies of the Jewish Community Partnership which include the Alpert Jewish Community Center, Hebrew Academy, Hillel, Jewish Family & Children’s Service, Jewish Federation and Jewish Community Foundation and the Weinberg Jewish Federation Campus. 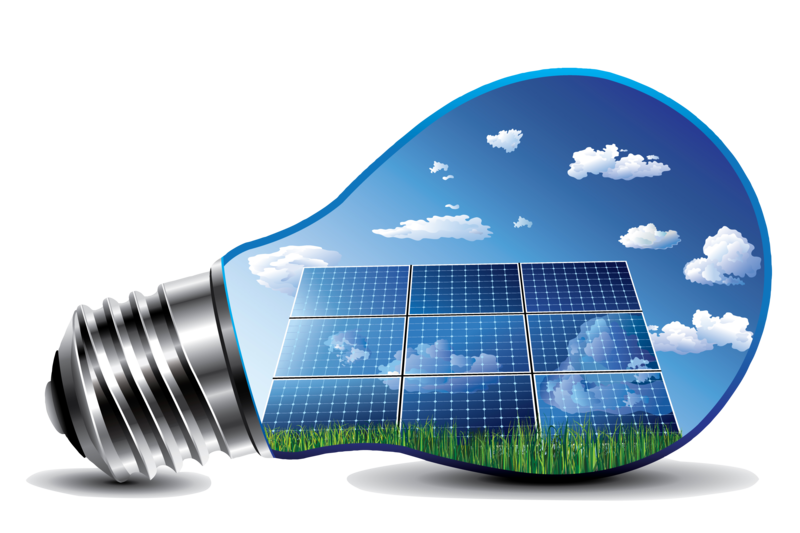 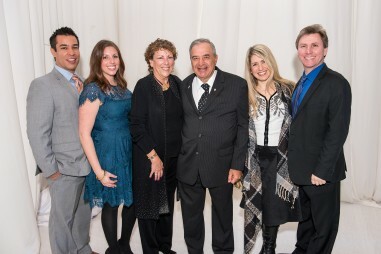 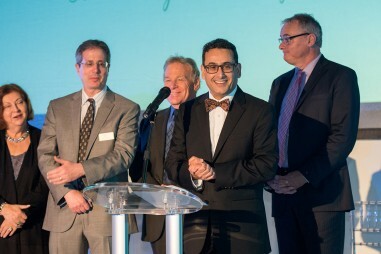 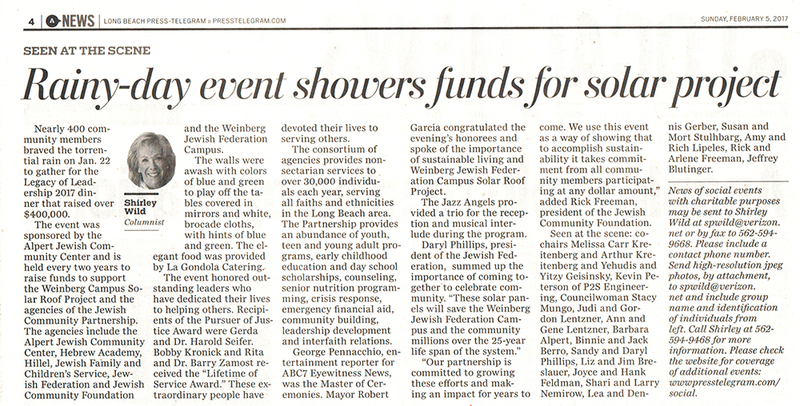 This year’s event raised over $400,000 for our partner agencies and the Weinberg Campus Solar Roof Project. 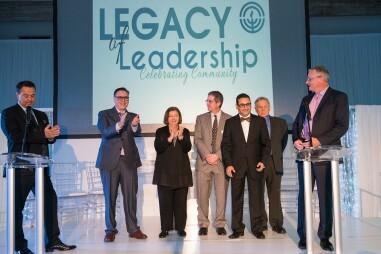 This local consortium of agencies provides non-sectarian services to over 30,000 individuals each year, serving all faiths and ethnicities in the Greater Long Beach area. 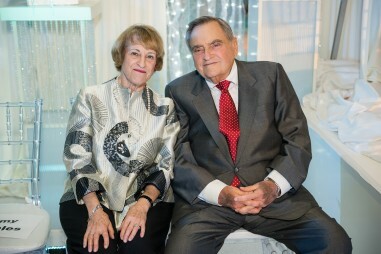 The Partnership provides; youth, teen & young adult programs, after school recreation, sports & arts, summer camp scholarships, early childhood education and day school scholarships, counseling, senior nutrition programming, crisis response, emergency financial aid, community building, leadership development and interfaith relations. 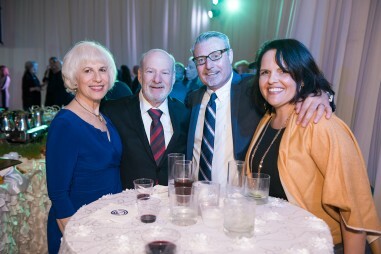 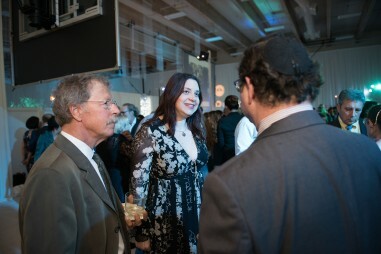 The co-chairs for the event were Melissa Carr Kreitenberg & Arthur Kreitenberg and Yehudis & Yitzy Geisinsky. 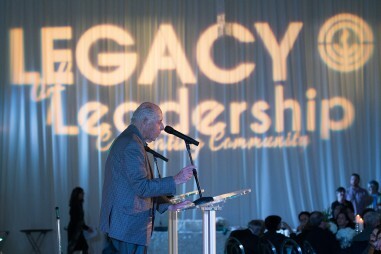 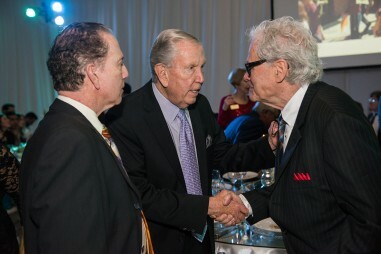 The event also honored outstanding leaders who have dedicated their lives to helping others. 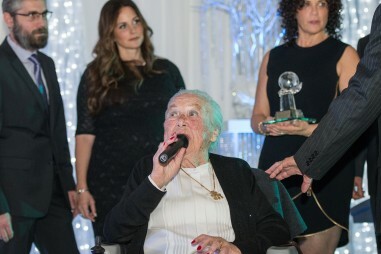 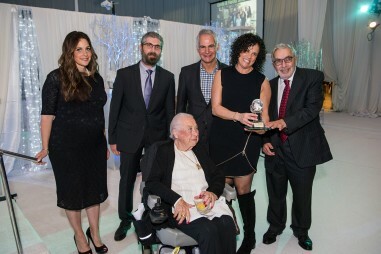 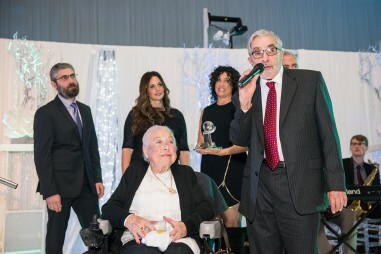 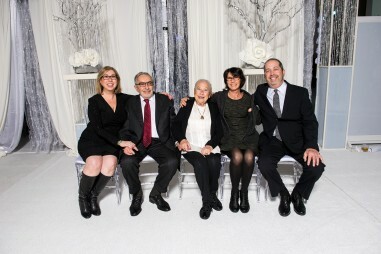 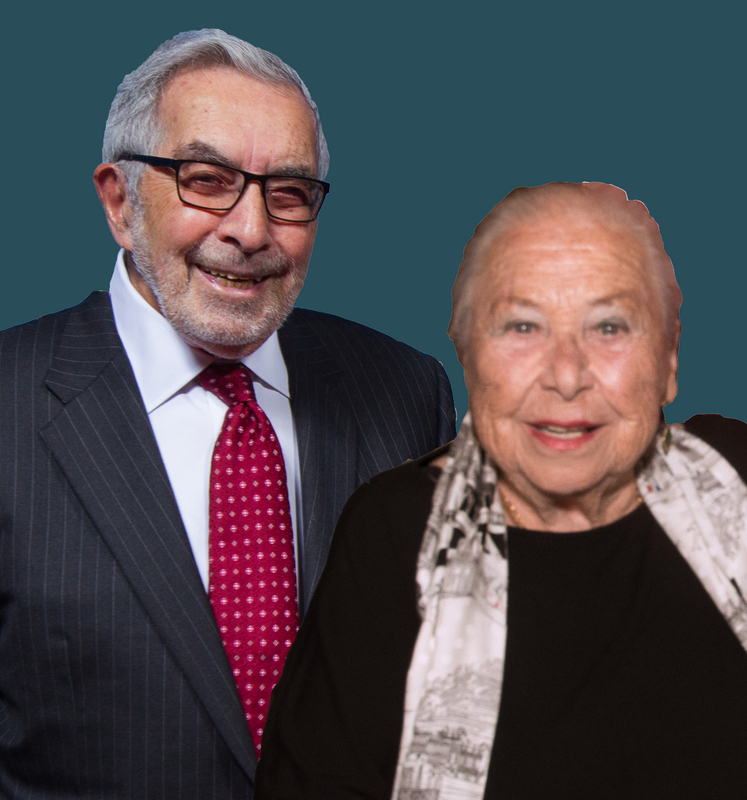 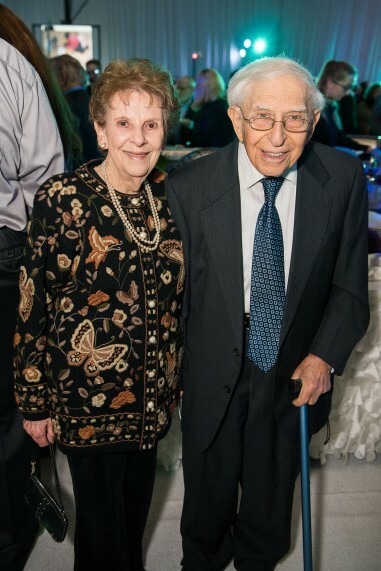 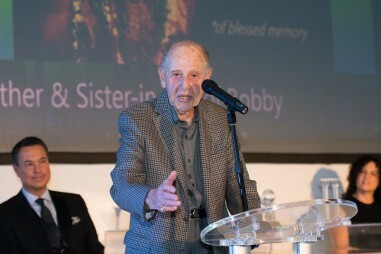 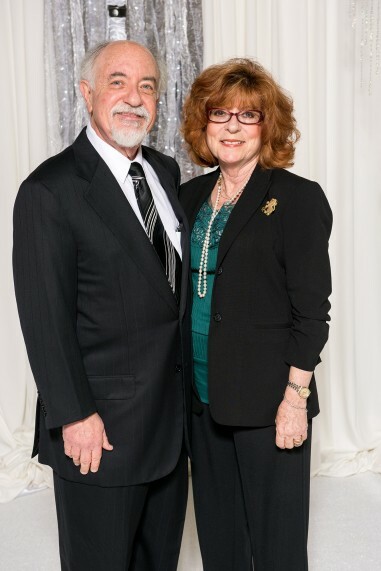 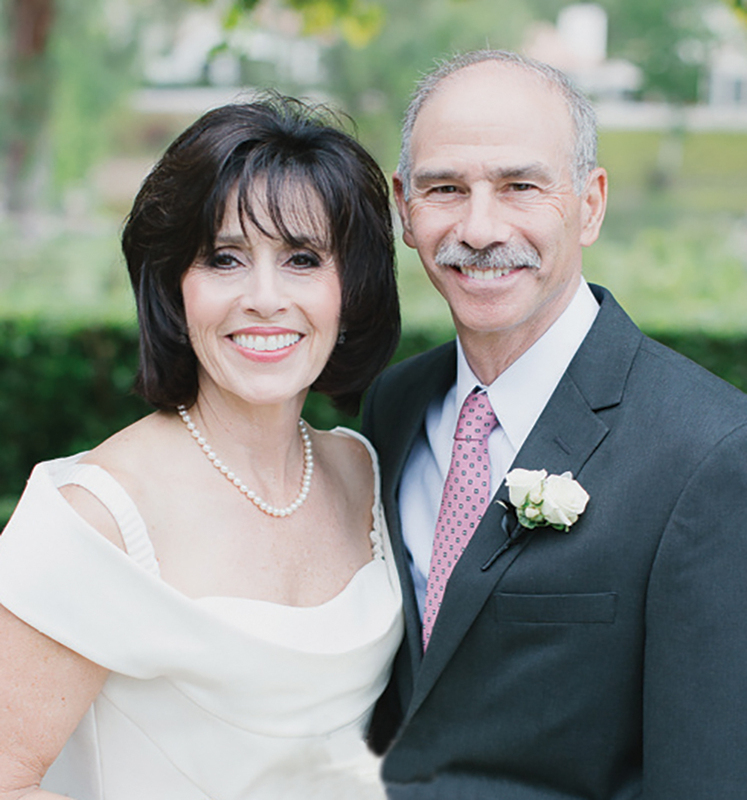 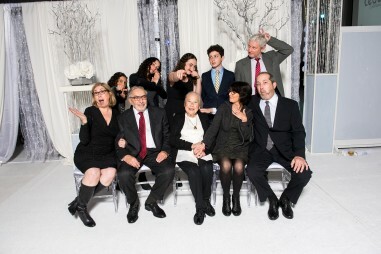 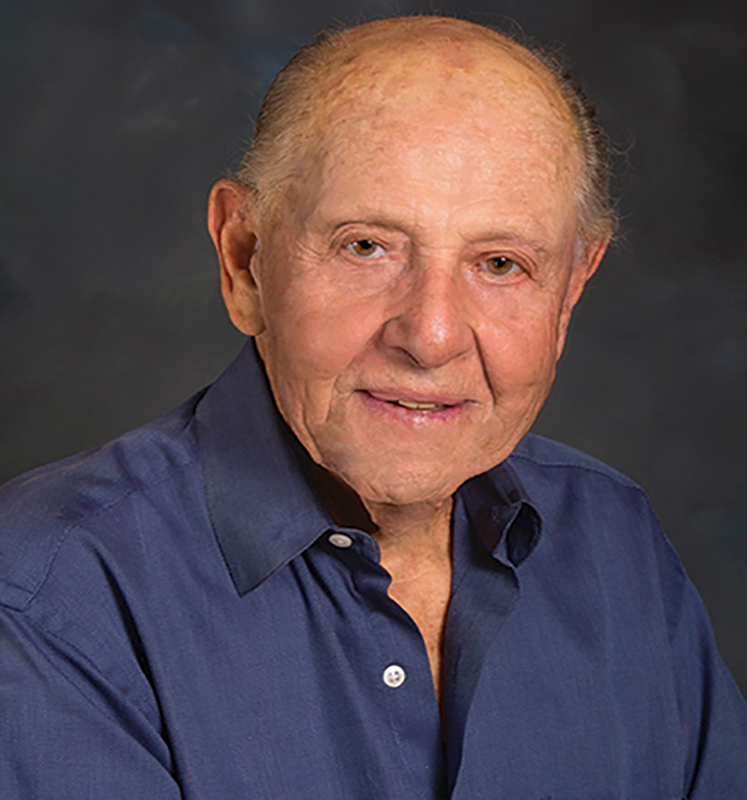 This year’s honorees were Gerda & Harold Seifer, receiving the Pursuer of Justice Award. 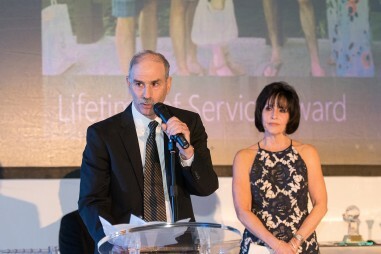 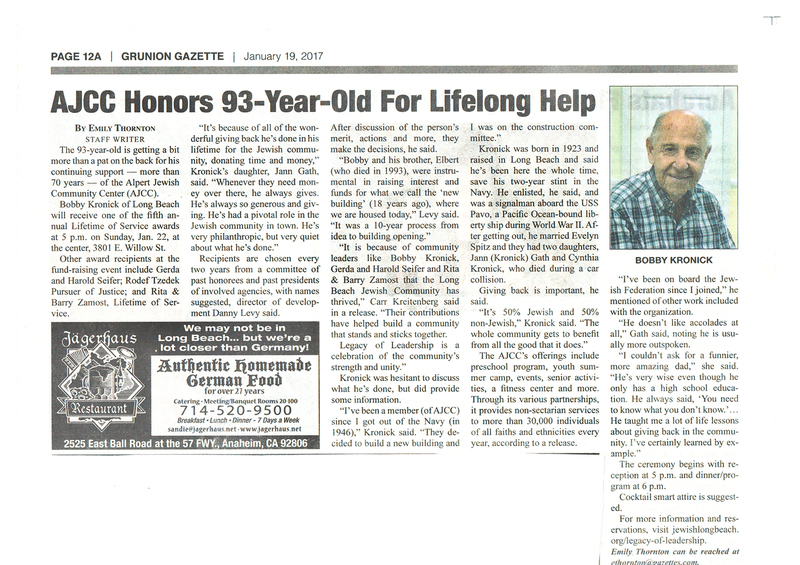 Bobby Kronick and Rita & Barry Zamost received the Lifetime of Service Award. 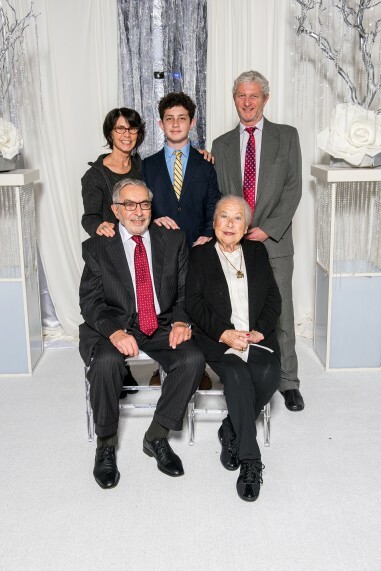 These extraordinary people have devoted their lives to repairing the world, serving others and have been the pillars upon which our community can stand going forward. 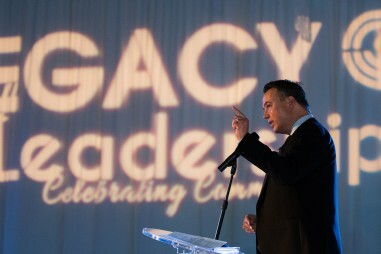 “Our partnership is committed to growing these efforts and making an impact for years to come! 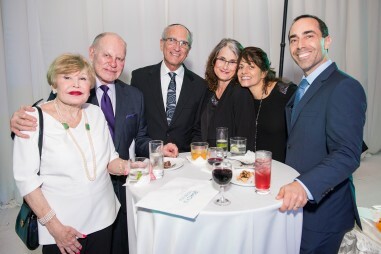 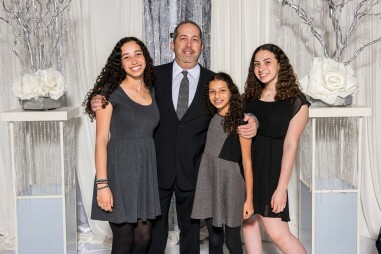 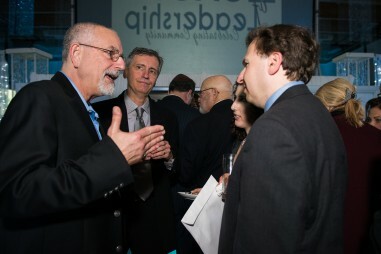 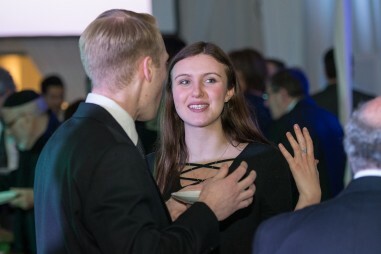 We use this event as a way of showing that to accomplish sustainability it takes commitment from all community members participating at any dollar amount”, added Rick Freeman, president of the Jewish Community Foundation.